Britain’s latest UNESCO World Heritage Site is the Pontcysyllte aqueduct, north Wales. The structure, built by Thomas Telford and William Jessop, is the longest and highest aqueduct in Britain. Pontcysyllte is such a lovely name that it would be a pity to let the occasion pass without mention. Wikipedia tells us that its Welsh pronunciation is ˌpɔntkəˈsʌɬtɛ. Myself, though, I would transcribe it ˌpɔntkəˈsəɬtɛ (or more simply as ˌpontkəˈsəɬte). The Welsh schwa is indeed stressable, despite being mid central, and has the same quality in the penultimate syllable of this word as it has in the antepenultimate. There is no reason to use the symbol ʌ in transcribing Welsh itself. The reason some people do is that in Welsh English the equivalent sound is used in STRUT words. What is the second element? It looks like a local dialect form of cysylltau, plural of cyswllt ˈkəsʊɬt ‘joint, junction’. This is related to the rather more frequently encountered verb cysylltu kəˈsəɬtɨ ‘join, connect’. So perhaps the name means something like ‘junction(s) bridge’. The nearby village is called Froncysyllte, ‘junction brow’. Somehow it sounds less romantic when turned into English. Bron (when soft-mutated, fron) is the brow of a hill but the breast of a person or animal, hence the name Bronwen ‘white breast’. The stem of cyswllt, cysylltau, cysylltu, too, is of Latin origin. It can be traced to the Latin word consolidus, which has given us English consolidate. The aqueduct is only two hundred years old, so did not exist in Roman times. I wonder, though, whether there might have been a Roman bridge nearby, called pons consolida. In EFL, mistakes in pronunciation may contaminate written English. As we know, many people have problems with the pronunciation of r and l.
...and with iː and ɪ. But this causes problems in spelling, too. Or perhaps it would be more accurate to say that it causes problems in sorting out apparent homonyms (homonyms when mispronounced). A choir I sing in is going to Helsinki (though without me) to sing in a festival. Naturally, out of respect to our hosts, we want to be able to sing Sibelius’s Finlandia hymn in Finnish. We had a speaker of Finnish to demonstrate the pronunciation, and fortunately singers are usually quite good at mimicry: so the results were actually very acceptable (I think). After my many years of teaching informant classes at UCL, Finnish is naturally one of the fifty-odd languages about whose phonetics I am fairly well-informed, even if I can’t speak a word of it beyond hyvää päivää and kiitos. I was interested to note which particular aspects of Finnish pronunciation seemed to cause particular problems to this choir of English speakers. Finnish orthography is very regular. Given the spelling, the pronunciation is predictable. So it’s mainly a matter of learning the letter values. Orthographic y ö ä are IPA y ø æ; everything else is pretty much what you would expect. The front rounded vowels, orthographic y and ö, seemed not to be a problem — perhaps because people had some familiarity with French. As in the case of English people’s French, however, some singers overcompensated and tended to use an y-like quality even for back u. The other umlauted vowel, ä, caused more difficulty, because people tended to equate it either with English e, eə (DRESS, SQUARE) or with an Italianate a. Although this vowel is usually transcribed æ and equated with English TRAP, it doesn’t sound entirely the same. I think it may be to do with the pharyngeal constriction that typically characterizes the English vowel but not the Finnish one. The singers found it hard to maintain the difference between the front quality in että and the very back ɑ quality at the end of koittaa. The opening diphthongs uo, yö were difficult for people, as was the closing diphthong äy and even the superficially easier äi. I had to bite my tongue not to intervene with a practical phonetics lesson: I wanted to explain that yö is simply ie plus lip-rounding. Unlike the English voiceless plosives, the Finnish ones are strikingly unaspirated. The singers were mostly able to imitate this. To my surprise, it didn’t seem to cause difficulty. The big problem was the preconsonantal h in uhka. It’s the phonotactic differences that are trickiest. Fortunately, the fact that we are singing to strictly timed music takes care of stress and segment duration. Among the improbable comments overheard from chorus members were that Finnish pronunciation sounds (a) like Afrikaans and (b) like Klingon. Another of Gordon Brown's weird mispronunciations: he says "gross" to rhyme with "floss" or "dross". The word is in common usage, especially when taxes are being considered, so you wonder if he really does listen to what anyone says. In fact all words in -oss have ɒs, i.e. the vowel of CLOTH or LOT, with this one exception. We have ɒ in boss, joss, loss, floss, gloss, moss, (a)cross, dross, albatross, toss. Only gross and prefixed engross have əʊ, the vowel of GOAT. Unless you are Gordon Brown. Note the inference that can be drawn if you produce a one-off spelling pronunciation: it means you don’t listen to what anyone says. Words in -ost, though, are unpredictable in this respect. On the one hand we have cost, frost, lost with the CLOTH vowel, but on the other hand ghost, host, most, post with GOAT. Does hostage rhyme with postage? Or foster with poster? No. It’s the same with -oth. CLOTH: cloth itself, and also Goth, moth; but GOAT: both, loth and, for most of us, sloth. Not only EFL learners but native speakers too must learn the pronunciation of a word when they learn its written form. Otherwise people mock. I was so sorry to hear that Nigel Greenwood, a follower of and frequent commentator on this blog, was killed last Saturday in a gliding accident in Cheltenham at the age of 64. By profession Nigel was a statistician, but took early retirement and devoted himself to languages and particularly to phonetics. The funeral will be at Cheltenham crematorium on Thursday 25 June. My condolences to his widow Eve. From the LOLphonology group on Facebook, two illustrations of epenthesis. I think these pictures are more fun than banging on about ˈfentsɪz and ˈɡæŋkstəz. PS Please don’t ask me to be your FB friend unless we actually know one another. Sorry, but otherwise the whole thing gets out of hand. One of the things I most regret about growing older is the decline in my ability to memorize things. Not boasting, but between the ages of 10 and 18 I somehow committed to memory great swathes of Latin and Greek morphology (or Accidence, as it was then known — declensions and conjugations, regular and irregular), not to mention mathematical formulae, geometrical proofs, historical dates, French verbs and vocabulary, how to read music, and I suppose well over ten thousand additional English words with their spellings and meanings. That was in school. On my own I taught myself a limited amount of Italian, the Cyrillic alphabet, thousands of Gregg shorthand outlines, and to play the melodeon. To add to school-generated conversational fluency in French, I acquired rather better privately-acquired fluency in German and Esperanto. You want to know the value of pi? No problem. What the sine of an angle is? How to calculate the area of a circle? Solving quadratic equations? The lyrics of every pop song from the early fifties? Of course. Once learnt, always remembered. And scores of square dances, country dances and Scottish dances. Not any more. Now I struggle just to try and memorize a paltry hundred kana symbols or a few lines of song for the choir. Learnt today, gone tomorrow. What makes it especially galling is that so much of this memorizing in my youth was effortless and unplanned. No one made me learn the words of Doris Day’s The Deadwood Stage. I didn’t even try to learn them. They just came. Now I can’t even remember the Hebrew and Arabic alphabets. That’s because I didn’t attempt to learn them till later in life. Oculi omnium in te sperant, Domine, et tu das escam illorum in tempore opportuno. Aperis tu manum tuam, et imples omne animal benedictione. Had Trinity changed illorum (of them) to illis (to them)? Or am I remembering it wrong? Perhaps my memory is not really as good as I imagine. I heard a Rotherham man being interviewed on Radio 4 earlier today about the effects of the recession. I thought I heard him say 'It semt to come on suddenly' ('semt' where 'seemed' would be expected). If I heard that correctly (I wasn't listening carefully at the time), it would be presumably be analogical to /dremt/ - /dri:md/. Have you ever heard this? Or did I mis-hear? I’ve never heard it, but it seems entirely plausible. 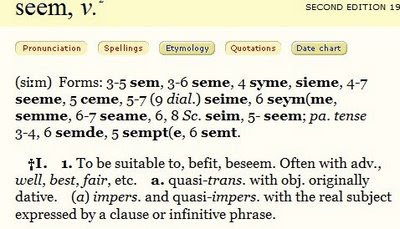 The OED has a past tense semde, sempt, semt in the 13th-16th centuries. You could possibly check in the Leeds Survey of English Dialects. Yes semt (I'm not sure exactly how it's spelt - it can be pronounced more like sempt) is common in Rotherham, Sheffield and Barnsley, tha’ knows. They also use tret (for treated). So I think I must have heard this form correctly. And I in turn can say that I have heard tret for the past of treat. Discussing the weak form of saint (blog, 9 June) reminds me of another word that has a weak form in BrE but not in AmE: sir. As a vocative, it’s sɜː(r) everywhere. But when it precedes a name, in BrE it normally has the weak form sə(r). So we say sə Humphrey, sə Galahad, Professor sə Howard Fergus. With a possible linking r, we have sə(r) Alexander Fleming and sə(r) Alan Sugar (star of The Apprentice, recently ennobled and given a cabinet post). 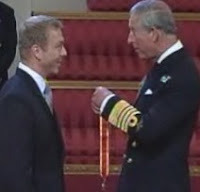 Note to non-Brits: he’s Sir Chris Hoy or Sir Chris, but never Sir Hoy. Shavian ˈʃeɪviən, for the writer George Bernard Shaw, is more recent (OED: 1905). And Fitzrovia, for the area around Fitzroy Square near Euston, is a mere half-century old (OED: 1958). If students of George Bernard Shaw can be called Shavians, a friend of Evelyn Waugh’s named John Sutro argued, then those interested in all things Waugh might be called Wavians. 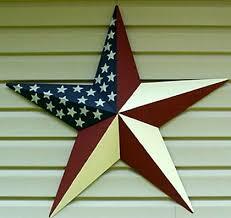 I now realize that, without knowing it, I have been a Wavian for many years. The review is dated June 3, 2007. Another review, by Barbara Kay, dated June 13, 2007, bore the headline Parental neglect: the Wavian muse. In November 2007 there was even a punning headline, Wavian goodbye. Let me update my question. In years to come, when someone writes a biography of our Justice Secretary, Jack Straw, will his views and behaviour be called Stravian? Tami Date (pictured, right) has a remarkable talent for asking me questions about intonation that I don’t exactly have the answer to. Mother: Don’t forget to do your home work. Daughter: I’ve already done that. Mother: That’s great. Oh, will you pick up your little brother? He’s at Aunt Peg's house. As for the underlined sentence, it sounded to me as if there was a high pitch or stress on I’ll. I don't know which term is more appropriate. In fact, if it is the former, as you write in your book, I take it as adding emphasis to the whole IP, whereas, if it is the latter, it seems to me there is no legitimate reason for I’ll to be stressed. Karen Chung says: I’LL pick him *UP. (rising intonation). The capital letters indicate stressed syllables. The symbol [*] indicates the nucleus. 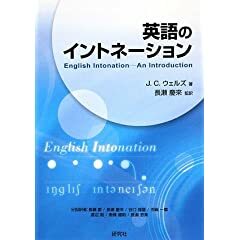 Since the textbook has a pretty wide circulation across the nation, I think such an apparently unusual intonation is no petty matter to dismiss out of hand, because it must be a source of puzzlement and anxiety to most teachers, who are usually expected to model-read new material in class as well as play the CD. How about the following? (1) A: Are you coming? (2) A: Do you know her? B: Sure, I know her. On balance, I think that the most likely pattern for these utterances is fall plus rise. 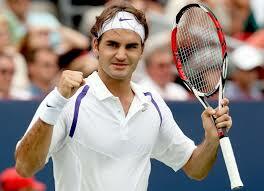 But there could alternatively be a high head or a high prehead followed by a rise. \Sure. || \I’ll | pick him /up. or: \Sure. || 'I’ll pick him /up. or: \Sure. || ¯I’ll pick him /up. and likewise with the other two examples. The problem is that the answers contain no new lexical or grammatical items. So there is no non-given item to place the nucleus on. Even the polarity remains the same as in the interlocutor’s question. These answers just mean “yes, OK”. If yes or OK or (AmE) sure were all we had, it could have a rise (throwaway, routine, “encouraging further conversation”) or a fall (definite, neutral). I have to say, though, that I don’t feel very pleased with my explanation so far. Probably this is yet another case where we need some input from the pragmatics people to unravel conversational situations that phoneticians like me feel we’re not very good at describing. Or perhaps we just say they’re yet more intonational idioms. At the Chambéry conference Nicolas Ballier of Paris Treize put forward an interesting hypothesis to explain two common errors French people make in pronouncing English. They tend to mispronounce rain as ʁɛn on the one hand and law as lo (or anglicized into ləʊ) on the other. Ballier says it’s all to do with syllable structure expectations. For many French speakers their vowels e and ɛ are in complementary or nearly complementary distribution, with the higher one, e, being used in open syllables and the lower one, ɛ, being used in closed syllables. Since rain is a monosyllable closed by its final consonant n, they tend to say it with their ɛ (which we perceive as our short e, the vowel of DRESS), rather than with their e (which we would tend to perceive as our eɪ of FACE). In the case of law, on the other hand, we have an open syllable. The French vowels o and ɔ, too, are in complementary or near-complementary distribution, with the higher o again being preferred in open syllables and the lower ɔ in closed syllables. Although English law would sound much better with French ɔ than with French o, particularly if phonetically modified towards English-style ɔː, nevertheless the syllable structure inhibits its use. 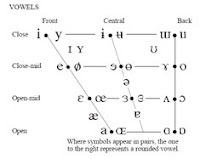 If this is correct, we would also expect a tendency to use a DRESS-type vowel instead of FACE in make, place, same, plate, fail, etc., and conversely a GOAT-type vowel instead of a mid-open vowel in saw, draw, jaw etc. The letter r in the spelling acts to counteract this trend in words such as more, four, score etc., in which either a phonetic r of some kind or a virtual one in the mind causes these syllables to be felt as closed. We would also predict a tendency to use a LOT-type vowel in words where English has the GOAT vowel in a closed syllable, as in ghost, rope, coat, home. Obvious, when you think about it. But for some reason I’d never thought about it before. To the extent that some French speakers preserve the distinction between les le and lait lɛ, paume pom and pomme pɔm, this ought not to happen. But I suspect that not very many do preserve these and similar minimal pairs.